The Troy VTX 3 Tier Shelf Dumbbell Rack GTDR-3 offers a flat shelf design, perfect for any type of hex head, 8-sided or 12-sided dumbbells. It is made from heavy gauge steel and offers easy assembly. Plus, a flared out bottom shelf, designed for easier racking of your heaviest dumbbells! It can hold 5-75 lb Troy hex, 8-sided SD-R and 12-sided TSD-R dumbbells. Troy VTX 3 Tier Shelf Dumbbell Rack GTDR-3 will hold a 5-75 run of solid dumbbells (15 pair) with ease. 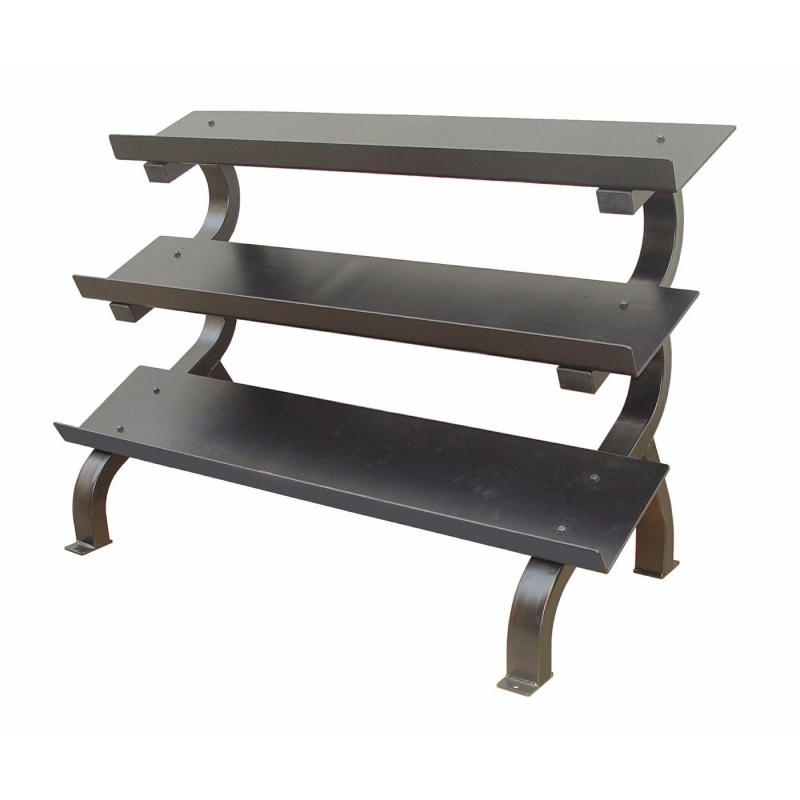 Heavy duty, powder coated shelves are anatomically angled for easy storage and removal. 8 flat head bolts drop thru drilled holes in the shelving into a sturdy 2” x 3”, 11 gauge frame for quick, easy assembly. Call 1-800-875-9145 to speak with one of our fitness advisors or Order your Troy VTX 3 Tier Shelf Dumbbell Rack GTDR-3 from FitnessZone.com today! 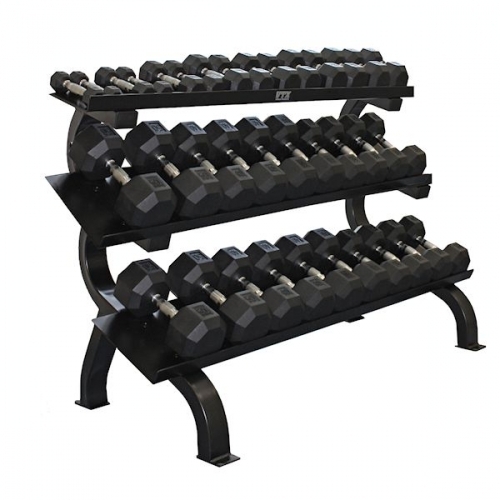 Product Description: The VTX commercial-grade, 3 Tier Horizontal Shelf Rack holds a 5-75 run of solid dumbbells (15 pairs) with ease. The heavy duty, powder-coated shelves are anatomically angled for easy storage and removal. Eight flat head bolts drop through drilled holes in the shelving into a sturdy 2” x 3”, 11 gauge frame for quick, easy assembly. Order your Troy VTX 3 Tier Shelf Dumbbell Rack GTDR-3 from FitnessZone.com today!